Singapore has long been known as one of the most expensive cities in the world to travel or live in. Of course, what do you expect from the country that has the highest number of millionaires in the world per capita. Sitting at the bottom of continental Asia, Singapore is frequently overlooked by many budget travelers for several reasons; the location and perceived cost being two of the primary ones. First, let’s talk about Singapore’s location. 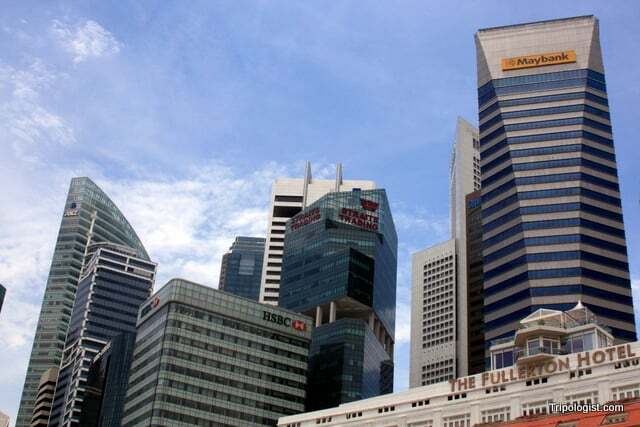 Throughout the centuries, Singapore gained prominence as one of the most important shipping and trading cities in the world; however, for travelers in Southeast Asia, Singapore’s location at the bottom of the continent is inconvenient to say the least. 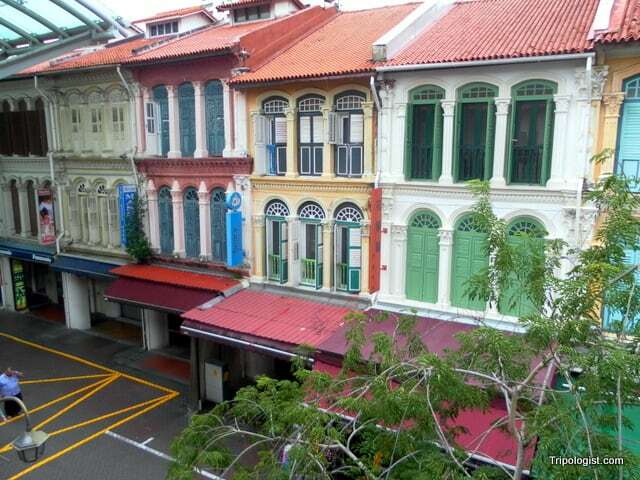 Beautifully restored houses in Singapore’s Chinatown. However, with the advent of budget airlines in Southeast Asia, it is possible to fly round trip from many Asian cities to Singapore for next to nothing. You also could make a stop in Singapore on your way to/from Indonesia, New Zealand, or Australia. Singapore is much more accessible than most believe. Singapore is also frequently skipped because of how expensive travelers think it is. While Singapore is far from inexpensive when compared to Thailand, Cambodia, or even Malaysia, it is possible to enjoy a visit to Singapore without breaking the bank. A night stay in a good hostel will run you about $25 US dollars, a meal can be around $5 at street stalls or fast food restaurants, and transportation typically costs less than $2 a ride. Couple that with many of the sites being free, and it’s possible to enjoy Singapore on a budget of less than $50 USD a day. So, we’ve discussed why Singapore is accessible for budget travelers, but we still haven’t discussed why you should go? I’ll be the first to admit that before I went to Singapore, I was expecting a virtual police state. I thought that there would be a police officer on every corner waiting to dole out large fines for even the smallest infractions. The Merlion and Marina Bay Sands – Two of Singapore’s most iconic sites. While it is true that small things like chewing gum, littering, or jaywalking can bring some hefty fines, I saw people do all three of these things at one point or another without getting stopped by the police. In fact, the police presence in Singapore was actually lower than in most western countries. The rules are there, and people follow them most of the time. This led to Singapore being one of the cleanest and most orderly cities that I’ve ever visited. That being said, Singapore still has a lot of character. Beautifully restored architecture, landscaped gardens, and friendly people helped make the city one of my favorites. So, don’t be disheartened by the perceived cost or distance, a visit to Singapore should be high on the list of any traveler to Southeast Asia, no matter what their budget. Find somewhere great to stay in Singapore! Bravo! Great article! Its true, Singapore can still be very affordable, the thing is the great range available here, you can have a meal for 5bucks or 500 hundred bucks, one street apart, with the rest of the range inbetween. This is so nice to hear. I’ve always thought the same thing – that it’s an expensive place to visit. Then, again, that’s the same thing going around about NYC and it would never stop me from visiting there – too great to miss! I think I’ve just added Singapore back on to my list of places to see. Thanks for this! Singapore is expensive in terms of accommodation. But besides that, it is true that you can still find cheap and affordable food easily. There are also free attractions around. As a Singaporean, I really appreciate this article which is of course pretty well-written. Common quips about Singapore being a police state, “fine” nation that sends one to prison just for spitting, chewing gum etc are acknowledged in this article and whenever I travel abroad it’s never tiring to answer all these and still get puzzled looks in people’s faces. I would suggest backpackers to just step into Singapore and find out what this island country got to offer. Till now, I am still exploring and seeing newer places that I’ve not been to. Thanks for the comment. I was really surprised when I visited Singapore last year. I honestly expected a cop on every street corner. I was really happy to find it to be such a pleasant place to visit. Having lived in singapore for a few years it is possible to have a budget holiday in this man made island of fun and frolic as there are various options for cheap food,hostels and public transport which is really well organised. 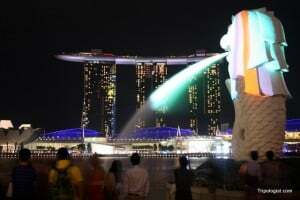 I’ve just visited Singapore and would say it is a nice place to visit for a few days. Good food and some interesting things to see. If you are really on a budget, try and get a flight which arrives very early in the morning, so you save on one night’s accommodation in a hotel.